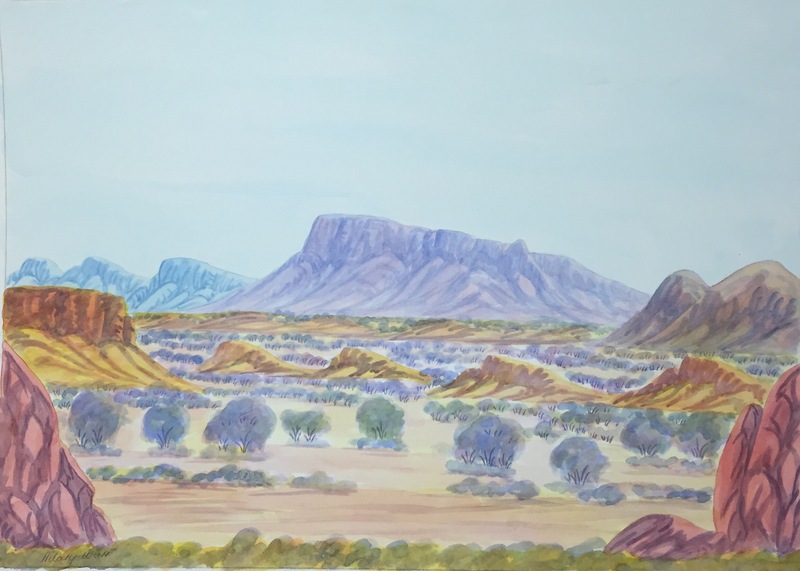 Hilary was inspired to begin painting himself in the 1980s, and has become an established painter whose works are displayed in many private collections. 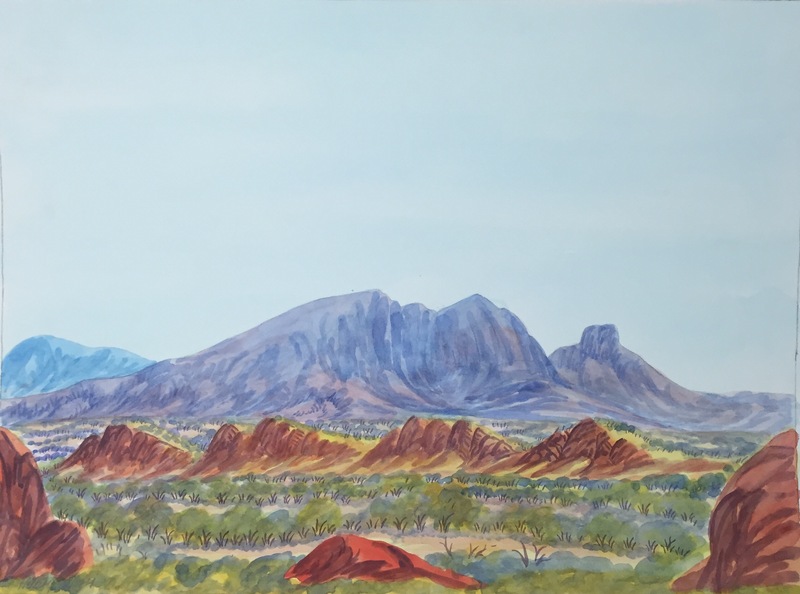 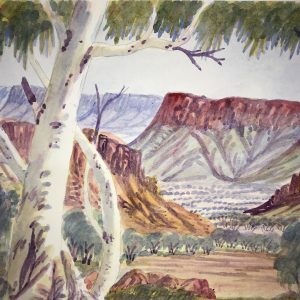 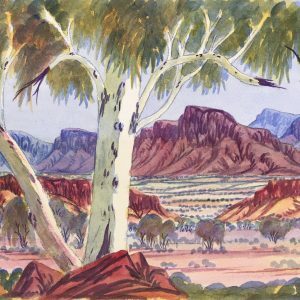 Hilary usually paints the landscapes and important sites around his homelands including, the MacDonnell Ranges, Mount Sonder, and Uluru. 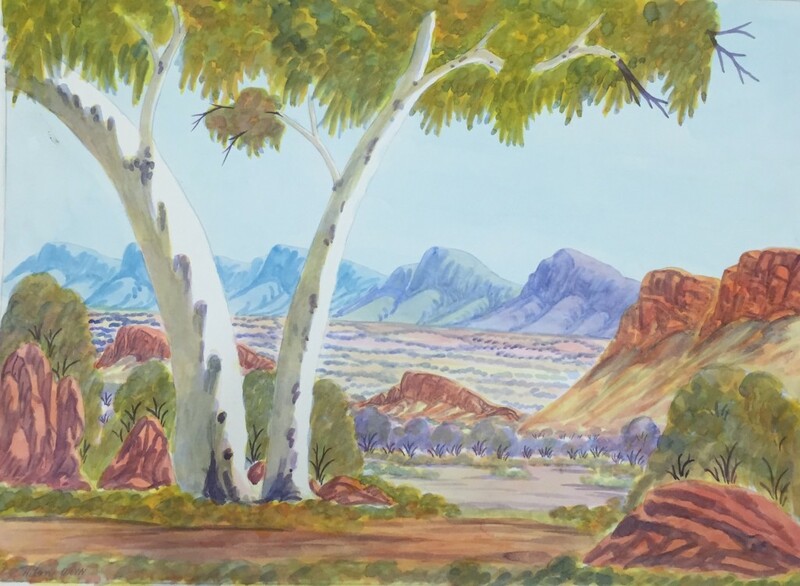 Hilary paints at Ngurratjuta Art Centre (Many Hands) and is also an accomplished guitar player.